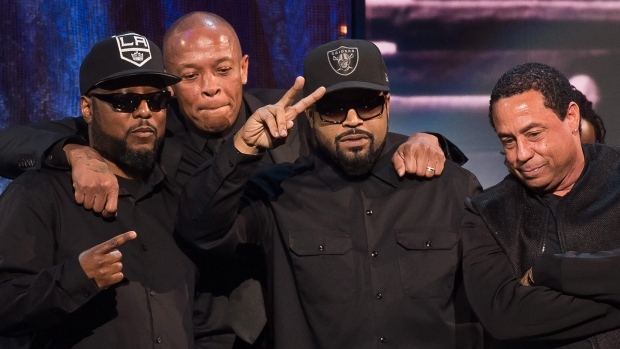 N.W.A (N****z Wit Attitude) got inducted into the Rock and Roll Hall of Fame last week – where artists like Green Day, Bob Marley, ACDC and Michael Jackson stand proud. 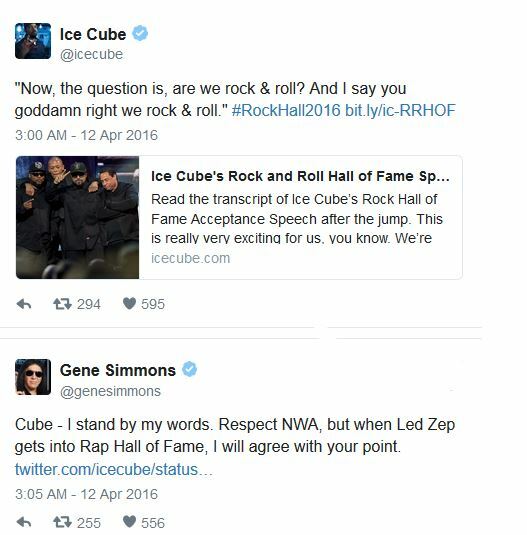 Kiss is among the many and now Ice Cube’s gangster-rap group N.W.A. who’s other members include MC Ren, Dr. Dre and DJ Yella. “…Now, the question is, are we rock & roll? And I say you goddamn right we [are] rock & roll. Rock & roll is not an instrument, rock & roll is not even a style of music. Rock & roll is a spirit. It’s a spirit. It’s been going since the blues, jazz, bebop, soul, R&B, rock & roll, heavy metal, punk rock and yes, hip-hop. And what connects us all is that spirit. That’s what connects us all, that spirit. Rock & roll is not conforming to the people who came before you, but creating your own path in music and in life. That is rock & roll, and that is us. Ice Cube then Tweeted some of his above speech. As it stands right now, Gene Simmons has the last say in this war. So it’s Full Metal Jacket VS Urban Jungle right now. Should a gangster-rap group have been inducted to the Rock and Roll Hall of Fame in the first place? Tell us in the comments.